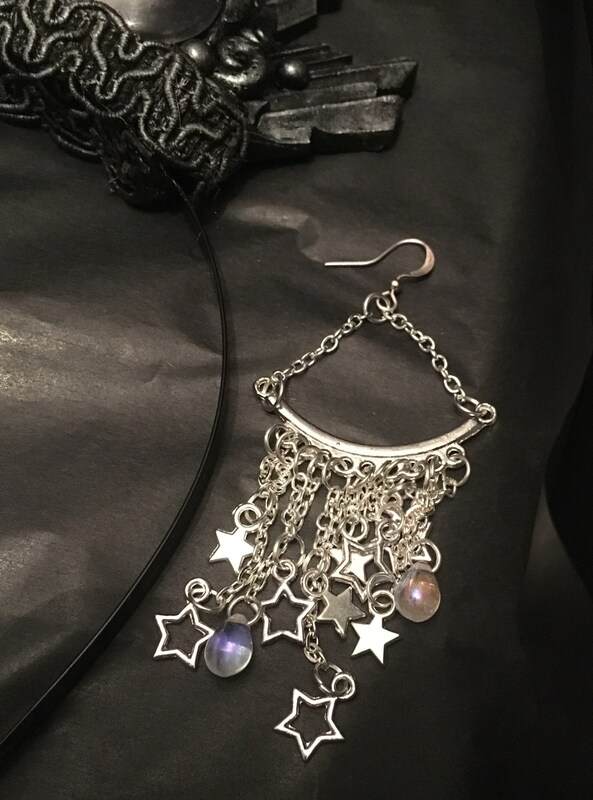 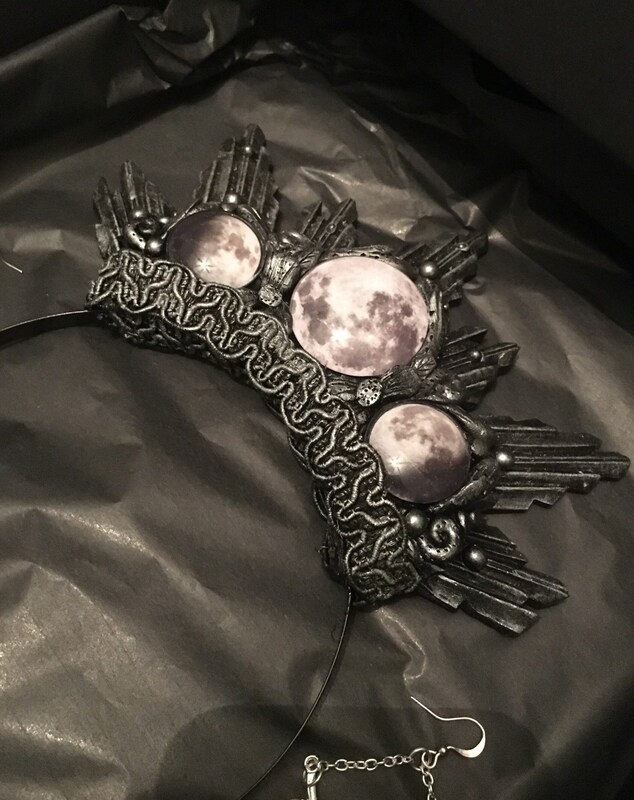 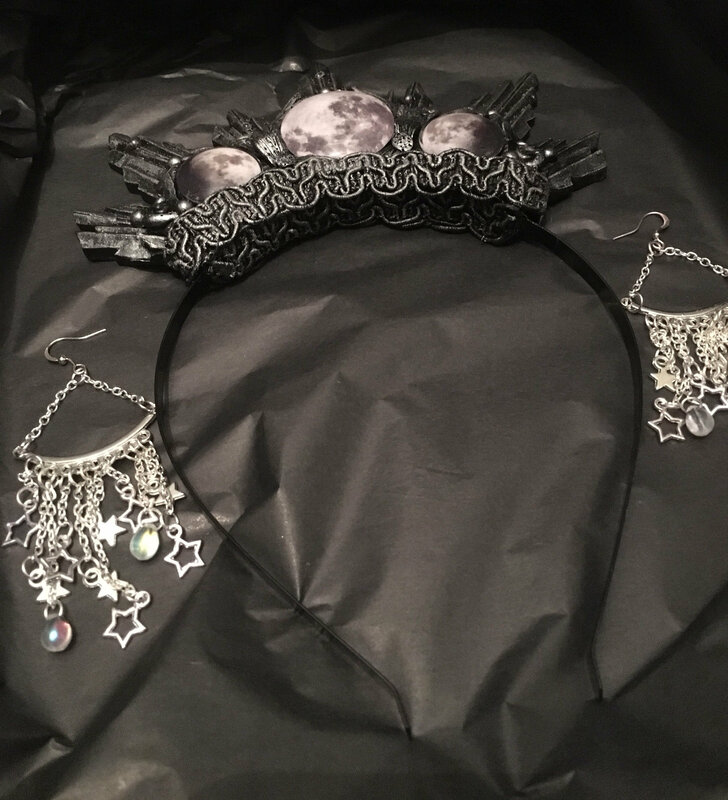 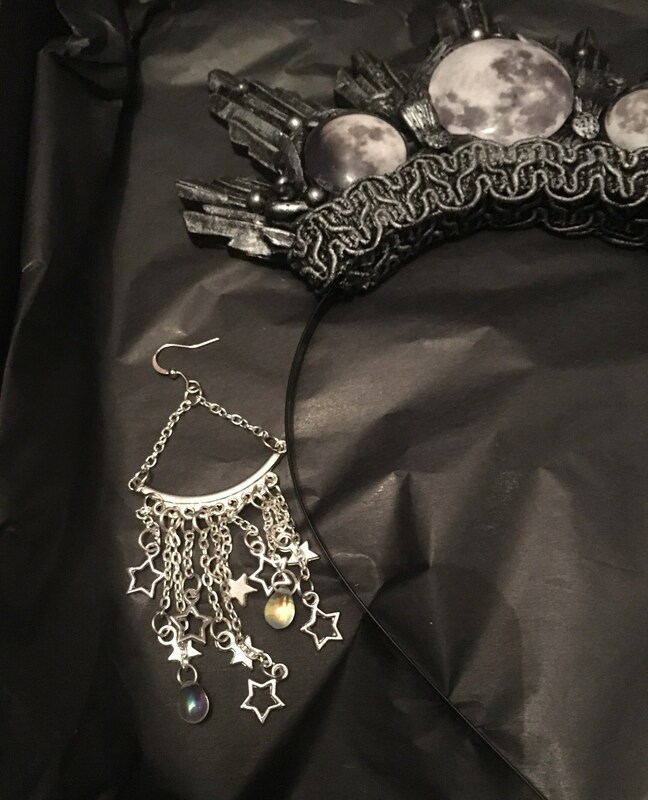 This absolutely stunning gift set comes with a beautifully handmade gift box, exclusive catacomb moon halo and earring set from Mistress Morella. 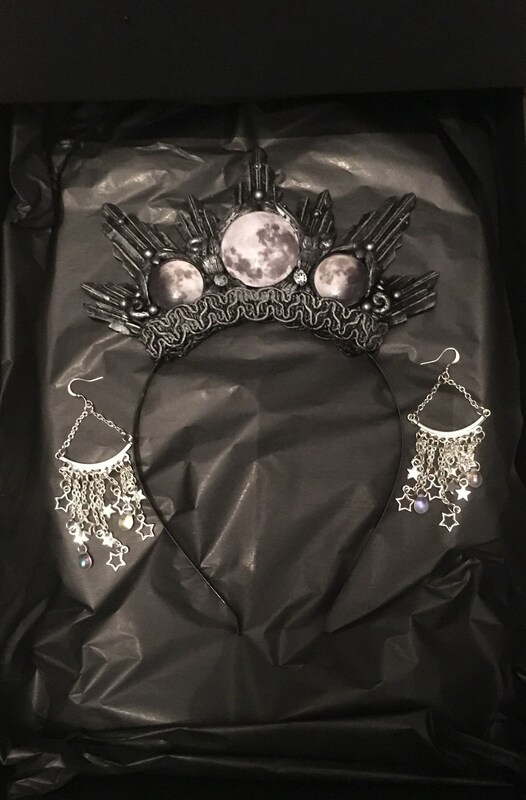 The moon detail on the top of the gift box is hand crafted and finished with black iridescent gems. 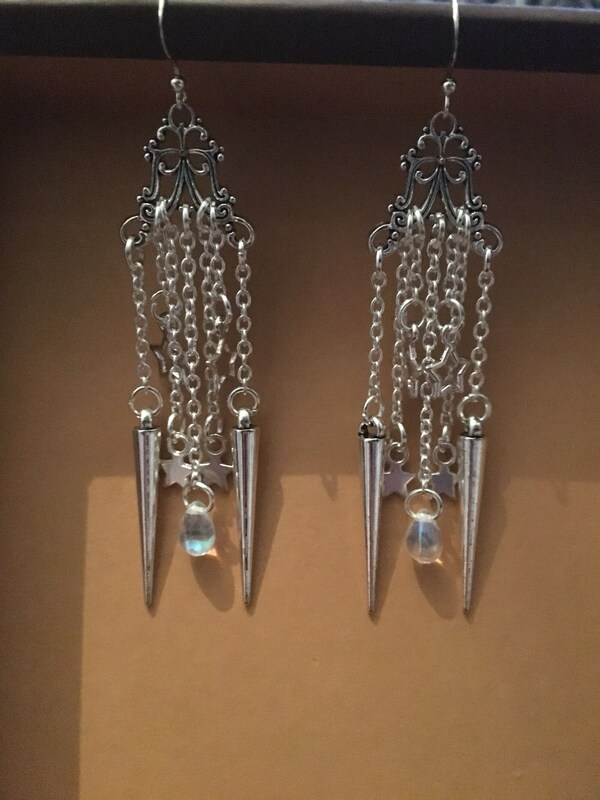 This set has a processing time of 1-2 weeks.